More buyers than ever are choosing to shop online. And so, for eBay store owners – business has never been filled with such potential. On Cyber Monday, eCommerce sales closed in at the historic $7.9 Billion Dollar mark. This means a 19.7% increase year-over-year, according to Adobe Analytics. And that’s not all. On Cyber Monday, there was a significant spike in buy online/pick up in-store purchases – with a record 50% increase year-over-year. In fact, retailers with physical stores drove 28% higher conversions online. When everything has been accounted for, Cyber Monday 2018 will be known as the largest shopping day in US history. But… the opportunities don’t stop there. There are several shopping holidays just around the corner that your eBay store should be ready for. What Other Shopping Holidays Should Your eBay Store Be Prepared For? Almost 90% of retailers offered sales on Cyber Monday. That means business owners were ready for the rush. It also means that – to make sure you stand out from the competition – you need to make sure your eBay store is ready too. Here are 16 shopping holidays to start preparing for. On January 15th, shoppers tend to turn to online sales to fight the dark, bleak January blues. Fitness and wellbeing brands might want to take advantage of those looking to fulfill their new year commitments. Chocolate, flowers, and cards get lots of attention in the lead up to Valentine’s day – but that’s not all. Today, buyers think outside the box, so whatever your store offers, consider launching a Valentine’s day sale. Buyers off from work for the long weekend hit the shops for sales – traditionally there’s a focus here in mattresses and appliances. Whatever your specialty, remember that your target buyers may be sitting at home browsing. Get ready for spring shopping with sales campaigns leading up to Easter Sunday. Spring clothing, gardening tools and equipment, hiking gear, and more traditional easter goods are all in vogue. It’s not just an opportunity for flower retailers. Mother’s day is one of the biggest shopping days of the year, and is a chance to benefit from eager shoppers – whether you sell camping gear or home cookware. eBay has reported that June sees a 33% boost in searches for the term, “wedding present.” Online shopping options become even more popular as so many more couples decide to tie the knot during this season. Stay open to attract buyers who have a long weekend off from work. This is a perfect day for some surprise sales or well planned campaigns. Whether you sell traditional Father’s Day gifts, or something totally different – keep your eBay store top-of-mind for your customers with special Father’s Day sales. From Glastonbury to Burning Man, festivals around the globe attract millions. If you sell anything from fashion to camping gear, consider targeting these eager festival-goers. Paper goods, office supplies, youth clothes, books, and other school products are sought out by eager parents around the globe. Back-to-school is a major opportunity to boost your September sales. Everything from candy to flashlights, costumes to decorations get tons of attention in the lead up to Halloween. Create some targeted ads and discount codes to attract buyers to your eBay store during this spooky month. Traditionally seen as the start of the Christmas shopping season, Black Friday sees a major spike in online sales. eBay store owners: don’t miss out on this big opportunity! As mentioned above, this year, Cyber Monday was the biggest shopping day in history. So, all the more reason to get your eBay store ready for Cyber Monday in 2019. Founded by American Express, Small Business Saturday is celebrated the Saturday after Thanksgiving, and is all about supporting small businesses – and that includes your eBay store. Get your customers jazzed with special, Small Business Saturday offerings. Prepare your eBay store for the biggest shopping season of the year. Christmas means higher sales for you – so make sure you plan your campaigns ahead of time, and have plenty of merchandise in stock. Boxing Day is a great day for sales, and an important opportunity for customers redeeming vouchers. Don’t forget to be ready for this one, so you don’t have to spend Christmas day prepping! Whether you sell Christmas decorations or fishing gear; shopping holidays happen all year round. So, get out your calendar, and start marking the dates of your next campaign or sales offering. Need a hand getting the most out of your eBay store? 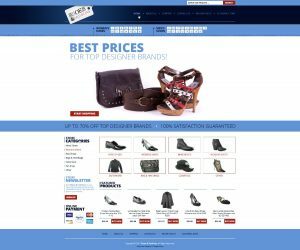 Get in touch with OCDesignsOnline today, and launch your sales to the next level.